This week I really want to talk to you mommas who are full time working mommas who are toe or knee deep in the mompreneur pool WHILE raising a family. First of all BIG shout out to you you rock star! It’s rough I can imagine, time is tighter, attention is spread thiner, and every minute counts right. I just finished working with four beuatiful mommas who are on a journey to leave their full time jobs and simply grow their side hustle to their full time hustle. When i’m coaching a momma her individual needs are my #1 priority. But when i’m sharing with the everyone, you all right now, I want to simply dive in a little details so that things don’t seem as stressful for you RIGHT NOW! First of all, and this goes out to all of you mompreneurs, you MUST love your entrepreneurial venture in order to make it work. If you have a business that you are in “just to have a side hustle” the likelihood of you continuing or make a success of it are slim to non. Yes that’s harsh but you wont make it a priority in your day. You’ll put it on the back burner again and again and again until you “have time” to work your “business.” Be honest with me right now, when do you REALLY have “time”? If you LOVE your side hustle you will MAKE time for it, you will carve out windows of time to work it, you WILL make it as important in your life as your full time job and your kiddos. Carving out time is a big struggle a number of my 1:1 clients have so it’s the first thing we conquer if that is the issue. Soooooo my FIRST BIG tip for is : You MUST love what you do. NEXT: You MUST PRIORITIZE in order to make your business the real deal! Let’s face it, you are SUUUUPPPPPPER busy momma, I know, trust me I truly truly truly do! With that being said you must be a ninja in the art of creating priorities and sticking to them. When the kids have soccer or other sport/activity – thats a priority, Sunday morning is church time – thats a priority (for some but you get the sentiment), Meals- they are a priority, Laundry & House chores- They must get done eventually so they become a priority, Your full time job- that’s a priority (it pays bills with little effort). All of the above mentioned things become “Must do’s” in your life because if you don’t do them things wont function properly. When you LOVE your side hustle you will find a way to MAKE it a priority. etc. You understand, you’re super smart momma. You MUST add biz duties to your daily schedule and make them a priority to succeed. Like we’ve already pointed out your life is a continual balancing act and you are rocking it. Working from a schedule is mom life hack #1. You keep your dates, appointments, kiddo activities, outings, work schedule, etc. on that schedule. Now it’s time to add in specific pockets for your side hustle. EACH DAY add in a little pocket of time for your side hustle. Maybe its while the kids practice at their activity, maybe its during your lunch break at work, maybe its right after the kids go to bed for 30 minutes before you go to bed. Where you have pockets pen in work hours for your side hustle! I will beat this subject to death but you MUST work from a to-do list. You have taken the time to schedule things out, now outline them so that you can more easily stay on track with what needs done in your small windows of work time. You go to work, you get off and take the kids all over the world for their events, you make dinner, on weekends you play house chores catch up, you rock your side hustle. When all that is said and done you could cross it all off and feel an extreme sense of accomplishment knowing that you ROCKED the “adulting” life lol. I know this one is SUPER hard. Like adding in a side hustle into your already crazy busy schedule wasn’t hard enough right, now you have to do stuff to keep you sane? Well it needs to happen. Otherwise you’ll find yourself huddled in a small corner wondering why the kids wont stop making messes, your house wont stay clean, how the dishes are always in the sink, why the socks and pants are BESIDE the hamper and not IN the hamper, and how in the world you’ll ever get to your business to-do’s. While I realize a “full break” from the mom life isn’t a reality for MANY of us you can always take time to do a face mask, get your nails done (or do them yourself if you enjoy that), go for a walk/run, get in a workout, take a bubble bath with some amazing oils and salts. Whatever it is that you enjoy doing make sure you carve out a tiny bit of time each week to do something JUST FOR YOU. This not only helps keep Mommy level headed, it keeps you from bitting your bosses head of, it keeps you from resenting your side hustle, and it keeps you smiling at those precious faces you so lovingly created. I applaud you momma, you full time job working + mom life hustling + mompreneur life crushing super woman!!! 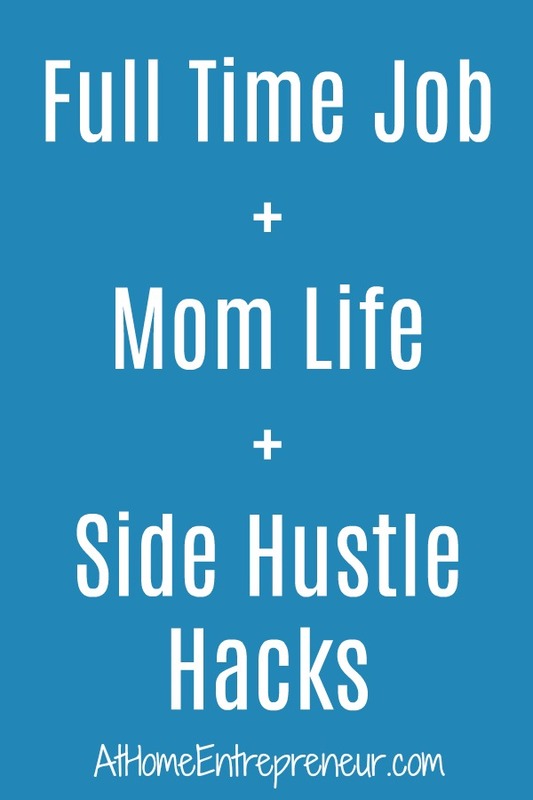 If you are really ready to take your side hustle and make it your full time hustle lets chat 1:1 about how you can be like those mommas I just finished working with! If you know a mom who NEEDS to hear this I’d LOVE for you to SHARE this blog post with her! While we might know we need to do all of these things, sometimes it’s easier to read it in print in order for it to really sink it! Want to get more organized in your mompreneur life? Snag your free (AND UPDATED) 90 day success planner below! I love the idea of focusing on one task each day! Sometimes I also feel overwhelmed with what I have to do for my blog but I think breaking it up into smaller tasks is the way to go. Yes yes and yes! Great tips! Great tips! I also love the bit on taking one task at a time. It can be overwhelming trying to work w. Kids but its doable. You CAN do it!!! 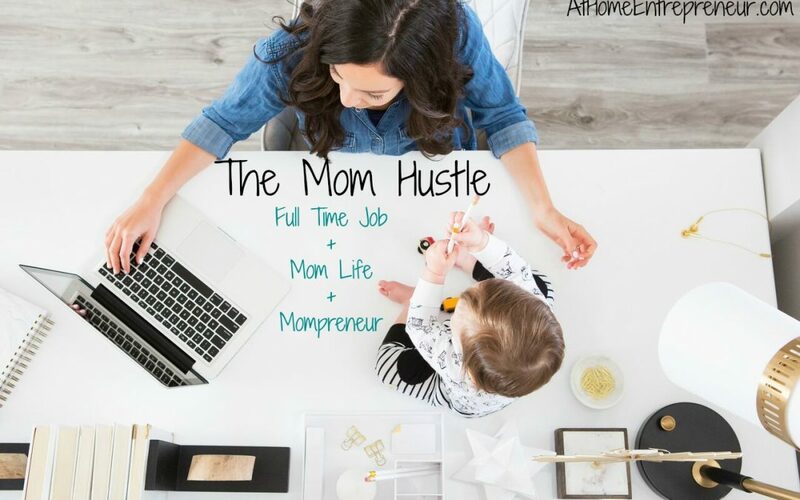 Mompreneur life isn’t for the faint of heart, that’s for sure! DOn’t hesitate to reach out if you need support!